A man accused of shooting two off-duty Oakland firefighters, killing one, in San Jose on Thursday has been charged with murder and attempted murder, according to the Santa Clara County District Attorney's Office. Oliver Juinio, 27, will make his first court appearance Tuesday in the Santa Clara County Hall of Justice in San Jose. He is accused of shooting the firefighters in the 300 block of East Taylor Street at 9:37 p.m. Thursday. Oakland firefighter Jake Walter, 30, died of his injuries at a hospital. Another Oakland firefighter was taken to the hospital and was listed in stable condition on Friday. 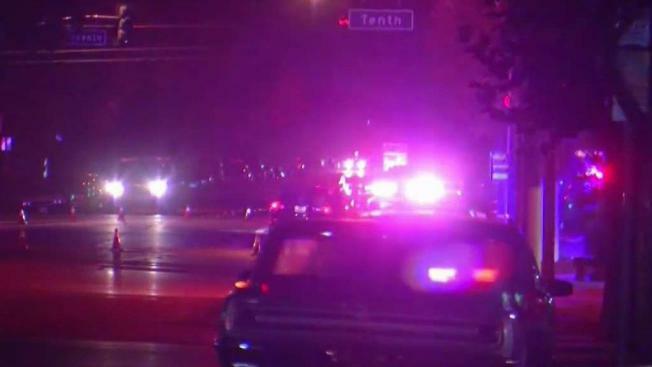 The Oakland Firefighters IAFF Local 55 union said on Twitter on Friday that at least five firefighters had been out in San Jose when the shooting happened, and they described it as "unprovoked." The firefighters who were not injured rendered aid to the two victims, union officials said. Oakland city officials said both victims had been recent graduates of the fire academy, both graduating in the same class on April 22. San Jose police spokesman Officer Albert Morales said last week their department stands strongly behind the victims. Police ask anyone with information on the case to contact Detective Sgt. John Barg or Detective Wayne Smith (408) 277-5283. Those wishing to leave anonymous tips can call the Silicon Valley Crime Stoppers Tip Line at (408) 947-7867.